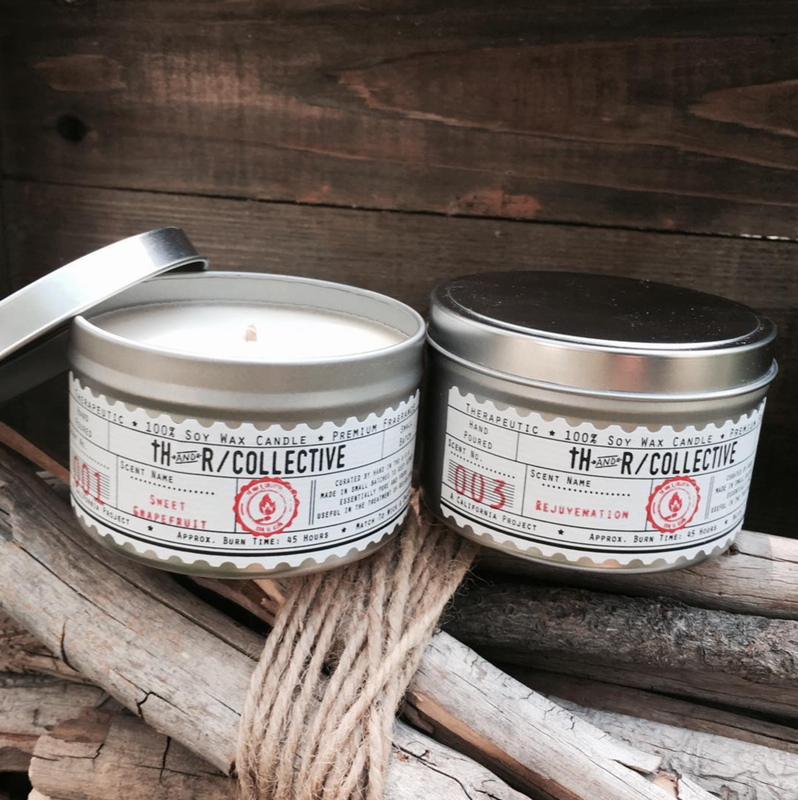 The tH and R Collective glass jar soy wax candle is our staple candle that everyone enjoys. This frosted glass jar is filled with 7.5 oz. of USA grown Soy Wax and premium fragrances along with a cotton wick for pure and easy burning. The candle boasts an approx. burn time of 40 hours and is sure to get you through many long nights. This candle also comes with a screw on top and our hand stamped labels to give each candle it's own personality. The newest addition to our candle line is our Amber Apothecary Tumbler. Beautiful to look at and amazing to smell, these candles are filled with 8.5 oz. of pure soy wax and a maximum scent load that is sure to uplift your surroundings when being burned. Offered in our Autumn Scent of Roasted Pumpkin. check back for new scents being added. Our Travel Tin is the perfect travel companion, home decor item or just a cool candle to have at your side anytime any place. This candle is made in a lightweight circular tin that is filled with 6 oz. of USA grown Soy Wax. The candle also comes with a convenient tin cover that allows for easy packing and transportation. All tH and R candles use only the highest quality fragrance oils and premium cotton wicks that burn clear and pure. Straying away from our staple soy wax candles we now offer Reed Diffusers in our 5 best selling scents. These diffusers offer 4oz. of premium fragrance oil in our beautiful frosted bottle, along with 8 reed wicks. Our diffusers have no harmful VOC's and are as pure as you can get when it comes to air fresheners. 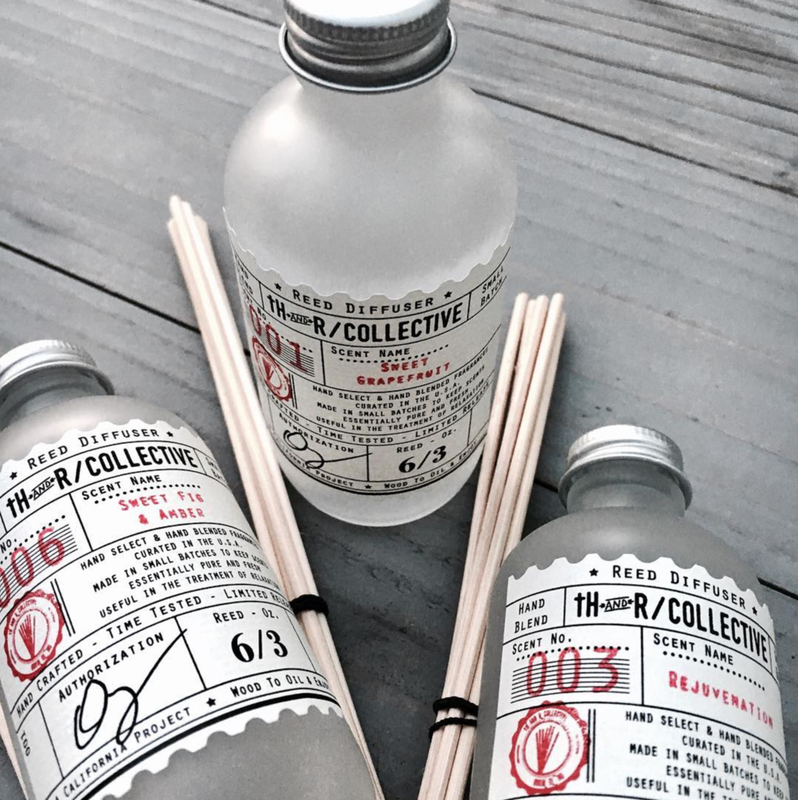 These little bottles provide over 3 months of delicious scent throughout your home or space.